The new year is a popular time to purchase a new washer, refrigerator or another household appliance. Likely, you will want to research which appliance and which store has the best deal, but are you considering safety ratings in your product comparisons? You might be surprised to know that certain appliances can pose a risk to your family, if not used, installed or maintained properly. As such, you will want to examine the product model’s safety features and ratings before you buy. Below are common household appliances that can cause serious injuries and fatalities, including carbon monoxide poisoning, electrical fires and burns. We have discussed the dangers of space heaters before, but it is important to remember that these appliances are responsible for 25,000 home fires each year. The type of space heater you use can help to avoid fires. Kerosene heaters, for example, pose greater risks than electric heaters. Some electric heaters now include safety features such as a tip-over switch and sensors that can detect if an object or child is too close to the heater for an extended period of time. Dryers are often sources of fires in the home, too. Whether you have a gas or electric clothes dryer, maintenance is key to avoiding fires. Be sure to properly clean the lint trap before and after every load. In addition, check the inside drum of the dryer for lint as well. You should also check and clean the outside vent at least once a year. If you own a gas dryer, it is best to have it professionally installed, inspected and checked for any gas leaks. In addition to fires, your dryer could cause carbon monoxide poisoning if not properly maintained. Gas-powered stoves can also cause carbon monoxide poisoning. For this reason, it is important to have an exhaust fan or range hood installed in your kitchen to help air flow and prevent carbon monoxide from building in your home. Even if you have an electric stove, you are still susceptible to injury, burns or fires if you do not take proper safety precautions. Never use your oven to heat your home, and never leave it on while unattended. Just with dryers and stoves that are gas-powered, water heaters can also cause carbon monoxide to build up in your home if they are not properly maintained. Have a professional service your water heater once a year to check for any issues. The inspector should check for any potential gas leaks, as well as whether the pressure valve is working properly. During the rest of the year, ensure that your water heater has at least two feet of free space surrounding it. Clothes, paper or other materials can catch fire if placed too close to the water heater. As recently as last year, Whirlpool settled a class action lawsuit regarding KitchenAid, Whirlpool and Kenmore dishwashers. The appliances contained a faulty electrical component that could overheat and cause fires. Besides faulty components, electrical fires can occur if a dishwasher’s water-tight seal becomes damaged. If you notice your dishwasher leaking, get it serviced as soon as possible. Dishwashers can also cause serious burns. If a dishwasher is opened before it has cooled off, the steam can burn your skin. These appliances are harmless enough, unless crumbs and other food debris build up within or near the machine. 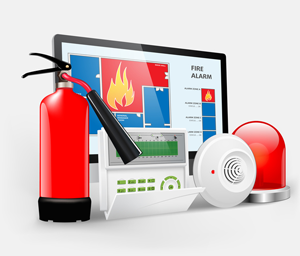 To avoid a fire, clean the device regularly. Some models can become jammed, causing the pop-up or timer feature to malfunction. Because of this never leave a toaster or toaster oven unattended.